If you are looking for a spiritual Sabbath followed by a vegetarian dinner , OM ShalOM is for you. We will celebrate a Sabbath Hanukkah/ Winter Solstice celebration on December 23. OM ShalOm will be celebrating an all inclusive Sabbath service on the second Friday of every month starting in January 2017. Knowledge of Hebrew not necessary. 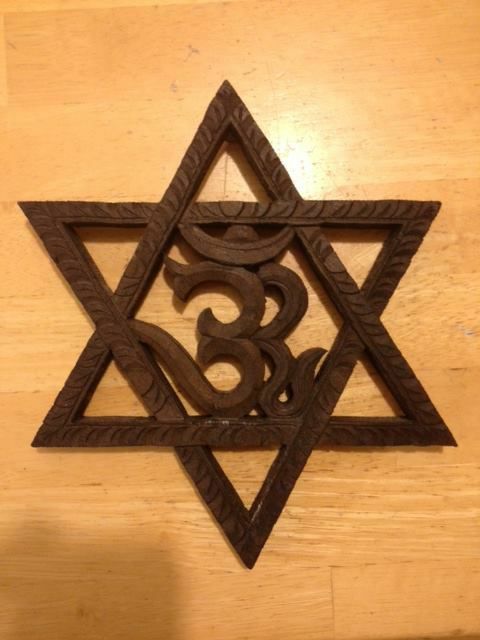 This is Spiritual Judaism with a blend of Eastern Religions, Yoga, Meditation, and Rumi's poetry. Service starts at 7pm followed by a vegetarian dinner every month. The cost to rental from the Unitarian Church for one year and the cost for a vegan dinner after services every month, comes t0 $8.880.All contributions are tax deductible as we are an IRS approved 501(3)c.If every spiritual seeker, yogi, meditator, reike, would send just $1, the price of a deli coffee, we will be able to provide for your spiritual community.Everyone says they want this. Let's see if it's true.Our musicians are donating their time.Our gourmet vegan chef is donating her time.We are the only place offering vegan, gluten free, satvic, kosher dinners in Staten Island.,You can mail you donations made out to Congregation OM ShalOM, 623 Laconia Avenue, Suite G, State Island, New York 10306.You are welcome to sponsor part or in full, our monthly dinners.For more info, call Rabbi Sam (718) 710-0599.